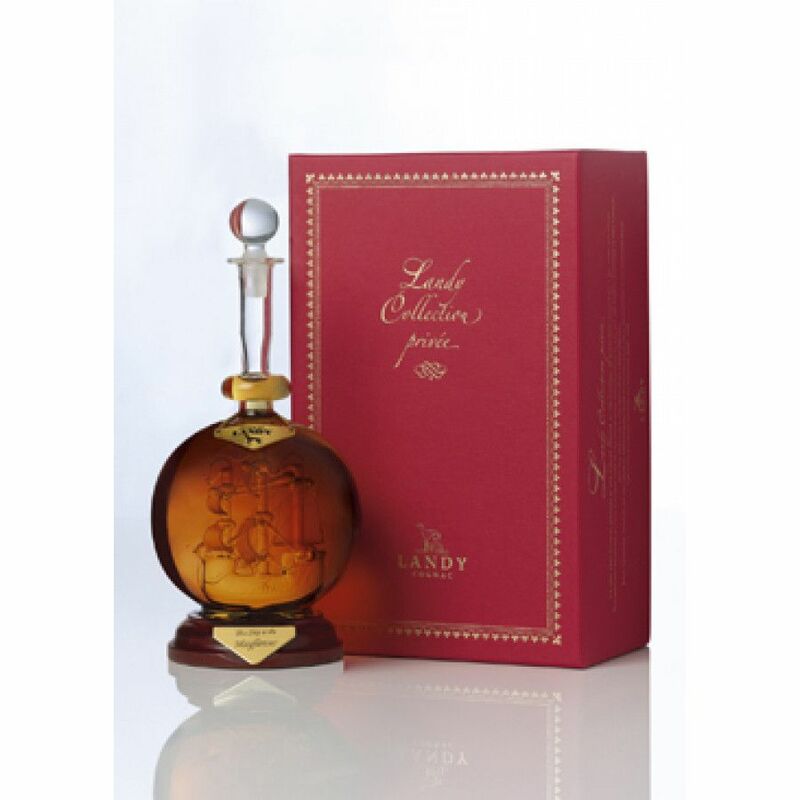 The Landy Private Collection Cognac is only produced in limited quantity each year. The blend is of rare eaux-de-vies created by the cellar master following a recipe that dates back over 300 years. The decanter is truly a work of art - a hand crafted sculpture using traditional glass-working skills. It's a unique piece of artwork that has been specially commissioned to reflect the refined qualities of the cognac housed within. This is definitely one that will appeal to the cognac collector. Cognac Landy is part of the larger company Cognac Ferrand. This relatively new house, which was established in 1989, was a collaboration between Alexandre Gabriel and a traditional wine growing family in the Charente. Thus, Cognac Ferrand, and therefore Cognac Landy too, was created with the philosophy of bringing new life back into the industry and production of cognac. Because of this, Cognac Landy is produced in the age old fashion without utilizing mass production techniques. Tasting review by Landy Cognac: Fine gold color. Pleasant nose, supple and harmonious. Orange blossom and orange peel aromas. The smell is reminiscent of the taste of freshly pressed grapes. Very soft on the mouth. Tasting review by Landy Cognac: Fiery amber color. A mellow cognac, long and pleasantly lingering on the palate. Smooth vanilla and ripe fruit flavors rounded by oakier notes. There are different cognacs in the cognac set.